Memoirs of husband and wife, founding Chairman and Honorary Chairwoman of the Daesung Group—valuable stories and secrets behind the success of the Group. 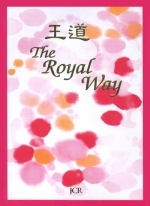 Daesung.com's JCR books releases Grace Upon Grace and Beautiful Memories: Walking After the Light——memoirs of the late founding Chairman Soo Keun Kim and the late Honorary Chairwoman Kwi Ok Yeu—in celebration of the Daesung Group's 60th anniversary (May 10). 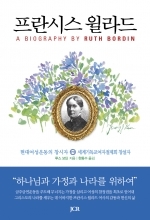 Written with side by side Korean and English text, the memoirs of Kwi Ok Yeu, also late President of the Korea Woman's Christian Temperance Union (KWCTU), gives a vivid account of her life devoted to community service. Beautiful Memories: Walking After the Light is the memoirs of Honorary Chairwoman of the Daesung Group Kwi Ok Yeu, who lived a life of temperance and community service. Married into a poor family, Chairwoman Yeu full-heartedly supported her husband through prayer and temperance. She placed great value on self-sacrifice for the family, helping the less fortunate and living with the heart of a martyr; she was a reflection of 'noblesse oblige' in its truest sense. This book witnesses to the message of love she hoped to spread through her devotion to the temperance movement and her display of sincere faith. 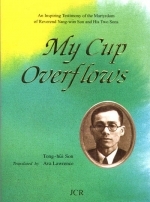 KWI OK YEU was born in Daegu, Korea on 10 May 1923. She attended Pyeongyang Woman's Theological Seminary in 1938 and later married Soo Keun Kim on 27 October 1941. 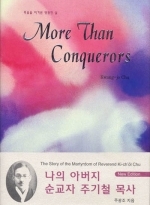 She was appointed elderwoman at Youngnak Presbyterian Church in Seoul and was elected President of the Korea Woman's Christian Temperance Union (KWCTU) in 1972. In publishing the memoirs of the late Honorary Chairwoman of the Daesung Group Kwi Ok Yeu, the Daesung Group hopes to reflect upon the past 60 years, embrace the spirit of the late founding Chairman Soo Keun Kim, and be the light that brightens our society and leads the future.